Marcus Aurelius is perhaps the best known Roman Emperor for the right reasons. Most of us know the names of Nero and Caligula for their despotism and destructive indulgences, but Marcus comes close to universal praise for the way he wielded power over the greatest empire the world has known. He is known principally for his journals, compiled into a book known as the Meditations. The journals documented the common and sometimes surprising struggles that come with absolute power and Marcus’s philosophical thoughts as a practicing Stoic. Along with Nerva, Trajan, Hadrian and Antonius Pious, Marcus is known as one of the five “good emperors”, first coined by Niccolò Machiavelli. The Italian statesman and political philosopher pointed out the curious fact that all the best emperors of Rome were adopted and not raised as biological heirs. Despite having the honour of being Rome’s last good emperor, Marcus was unhappy when he was made a “Caesar”, given the role as heir to (and adopted by) Antonius Pius. Many would find the idea of this absurd — why would anybody turn down the inheritance of absolute power and riches beyond your wildest dreams? But being emperor, a position that was impossible to abdicate from — was a double-edged sword. The average time in power of Roman emperors was short thanks to murderous usurpers. Some Emperors lasted mere months in the hot seat before being dispatched by a conspiracy. It was not just the fear of his own life that could have made Marcus reluctant. The young man was already a keen Stoic. Power and riches were potentially an obstacle to Stoic virtue. But how Marcus coped with his role is the reason he thrived in it, and why to this day people seek comfort in his writings. 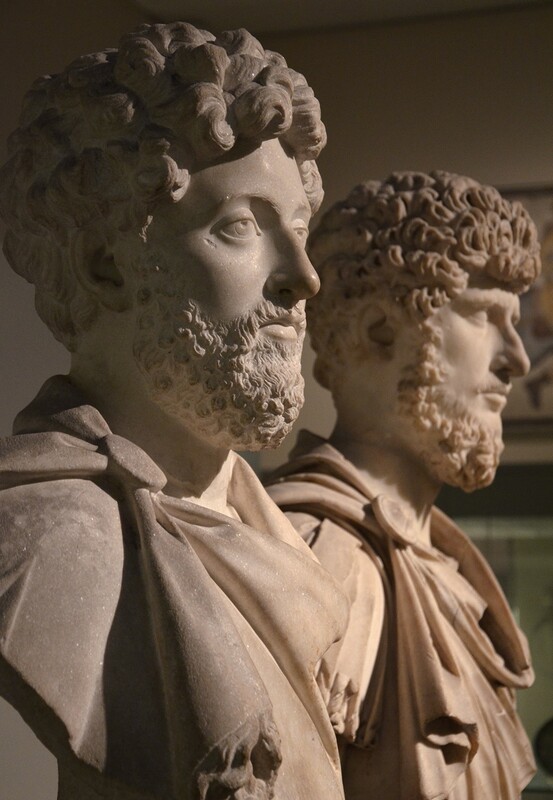 A new book by Donald Robertson, How to Think Like a Roman Emperor, throws light on how the ideas in Marcus Aurelius’s Meditations acted as psychological strategies to help the sage-emperor cope and thrive in the role that was bestowed upon him. Robertson is a cognitive-behavioral psychotherapist and draws parallels between therapy techniques and Stoic wisdom. Not all the parallels the author draws are new, but Robertson does add a great deal of depth through biographical details and drawing on his own psycho-therapeutic expertise. The picture he paints is of a vulnerable man, not a philosophical saint, and nor particularly a hero. Cognitive behavioural therapy has roots in Stoicism. One of its first practitioners, Albert Ellis, took inspiration from the Greek philosopher Epictetus. The philosopher did not write (as far as we know), and his teachings were recorded for posterity by a promising student, Arrian of Nicomedia. Epictetus’s ideas stem from the central Stoic notion that while you are not able to control your circumstances, you can control your emotional response to our circumstances. The Stoics demonstrate that while we try to control external events but lose control of our thoughts and emotions, we have little to no control of the former and full control over the latter. Arrian of Nicomedia went on to a high-office political career and was close to the emperor Hadrian, Marcus’s adoptive grandfather. He may well have met the child Marcus. Students like Arrian disseminated Epictetus’s teachings throughout the Roman world. The sage had a considerable influence over Roman philosophy despite being born a slave. Robertson demonstrates how Epictetus’s methods could be considered pre-modern therapeutic techniques. By revealing the links between the historical Stoics and the science behind their methods to attain tranquillity, Robertson’s book shows Roman Stoicism to be more akin to a methodology than a dogma. 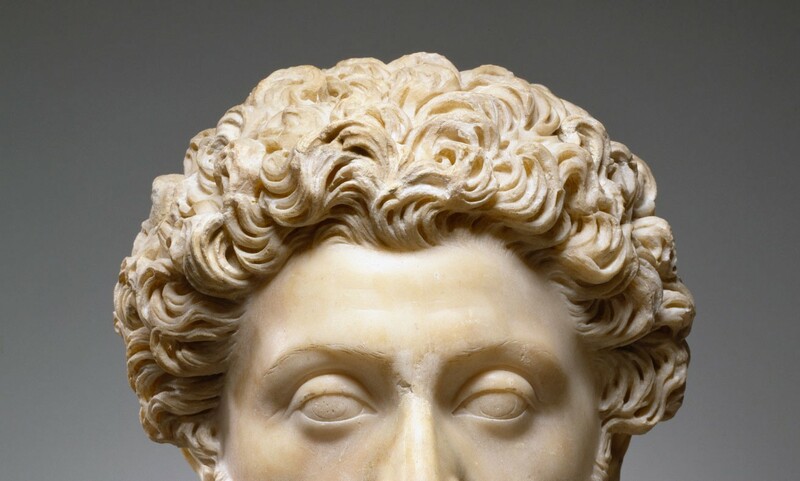 Stoicism helped Marcus Aurelius cope with fear, anger, and grief. This is not a result of “knowing” facts, but actually changing the way he thought. It’s not about what you know, but how you think. Stoic philosophy orientates the mind to tranquillity. Perhaps the most extraordinary aspect of Marcus’s philosophical development is that which came most natural to him. 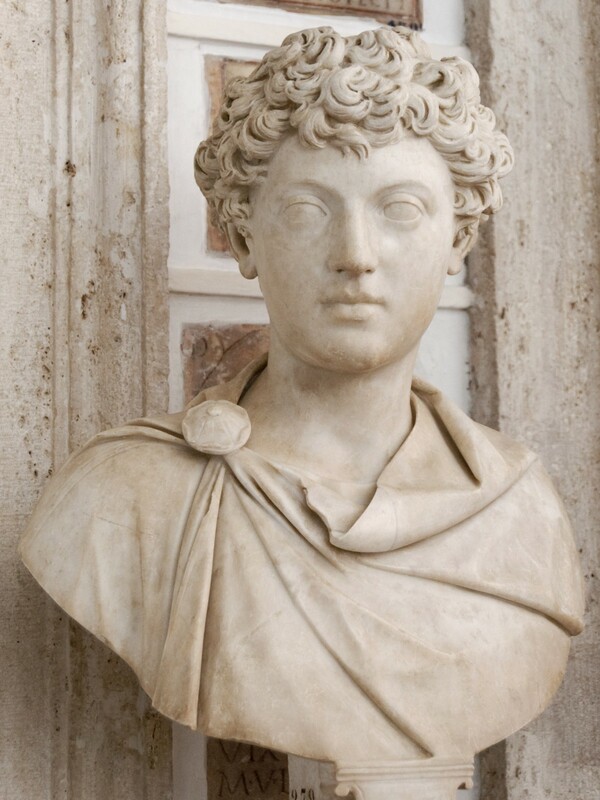 Hadrian nicknamed the young Marcus “Verissimus”, meaning “most truthful”, a sign of his affection for the child’s plain-speaking. This made Marcus predisposed to Stoicism, since the Stoics saw simple language as virtuous. Plain speaking brings two profound changes to your thinking. Firstly, clear, unadorned language leads to a better, clearer idea of the truth. Secondly, it removes value judgments that may stoke emotions. 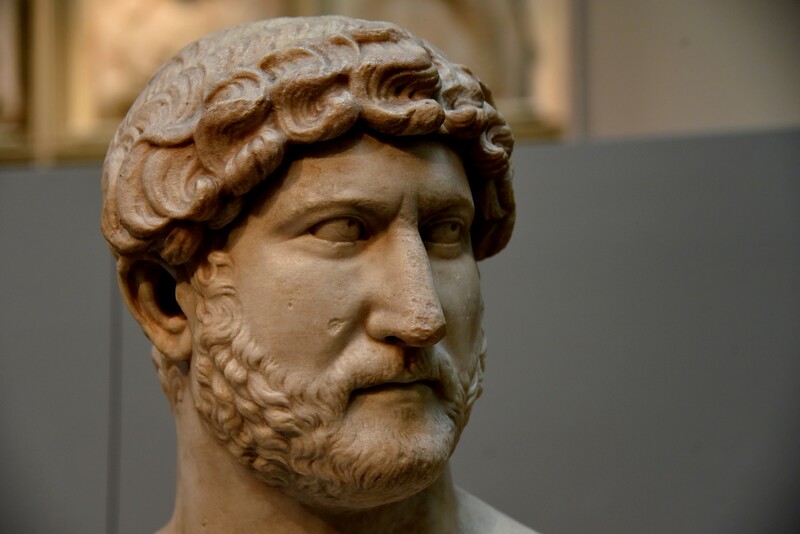 Hadrian was a cultured emperor and many philosophers were included in his court. Sophistry and rhetoric was an important part of court life and debates were staged to entertain Hadrian and his entourage. Sophists were teachers in the Greek tradition who bestowed excellence on their students. Fine rhetoric — the art of emotive and clever speech taught by Sophists — was highly regarded by Hadrian. Marcus was taught by two of the most eminent Sophists in history: Fronto and Herodes Atticus. But it was a Stoic, Junius Rusticus, who most influenced the imperial heir’s thinking and behaviour. Marcus adored the older philosopher and copied his mannerisms, such as wearing ordinary clothes and speaking plainly, without the adornment that Sophists prized. This would have astonished courtiers at the time, an heir to the throne would be expected to speak like a Sophist and dress elaborately in the finest materials and dyes. Sophistry is, after all, where we get the word “sophistication” from. Emperors are supposed to be so. Simplicity of language leads to clarity of thinking. When we use value judgments in our language, we start to behave irrationally and deceive ourselves as to the true nature of the world. Nothing is intrinsically good or bad, only our opinion makes it so. Robertson links the Stoic virtues of speech to the therapeutic process of “de-catastrophisation”, whereby patients go through a process of clarifying thoughts and disposing of excessive and emotive value judgments. It only takes a short scan of the media or social media to see that catastrophising has become a common phenomenon in the public sphere. Think of Obama, Trump and Brexit: we’ve seen these excessively damned and excessively praised in equal measure. In a recent article, an artist is quoted as saying, “People are becoming more and more stupid, insanely stupid.” This was the headline of the piece. Damning unspecified swathes or even all “people”, is sadly becoming a regular occurrence in both the media and social media. Excessive pessimism and catastrophisation are becoming a problem for our culture. The Stoics understood that colourful metaphors, over-generalisations and hyperbole are as damaging to ourselves as they are to other people. Our own language colours our thoughts and mind. Sometimes democratic elections don’t go our way. We can try to understand why the election didn’t go our way and do something about it, or we can gripe and wail that the world is going to hell and that anybody who disagrees with us is “stupid”. What’s the constructive thing to do for others and for ourselves? Now imagine being Marcus Aurelius: you are co-Emperor with Lucius Verus, an irresponsible drunkard, you have Parthians and Sarmatians in the east and Germanic tribes in the north rampaging the borderlands of the empire. You are supreme commander on the frontline and leader of an empire. Everybody around you looks to you for your leadership, those that don’t want to take your place (one of Marcus’s generals attempted to seize power from him). How would you want to approach such a high-pressure situation that you never desired in the first place? With a clear head, or a head filled with emotional clutter? Marcus controlled his words and his words clarified his mind. Robertson demonstrates that this is akin to “cognitive distancing” a technique of cooly analysing the situation you are in. The Emperor’s clarity of thought allowed him to break problems or cravings down into their constituent parts and analysing them in isolation. When you describe alluring food, for example, in down-to-earth language, piece by piece, it suddenly becomes less alluring, you are “detached” from it, your cravings dissipate. This is just one method among the many needed to reach the Stoic goal of “apatheia”: a tranquil indifference to the passions. Apatheia is essential for true wisdom, and the true good that all people should aspire to — the purpose of life, if you like — according to Marcus and the Stoics, is wisdom. Wisdom is at the heart of mankind’s nature (we are the one rational species), so to be wise is to be closer to nature. The Stoics understood God and nature to be the same thing — the totality of the universe, of which we are but a fragment. This is known as pantheism (“all is God”). The spiral of desires and value judgements are obstacles to wisdom, and therefore, Marcus believed, to God. Thank you for reading, I hope you learned something new.